Dr. Marc Bennet grew up in Manalapan, NJ and is a graduate of Brandeis University in Waltham MA. At Brandeis University he completed a degree in biology and and a minor in health policy. He received his dental degree from the the University of Medicine and Dentistry of NJ and stayed at the University Hospital for a two year specialty training in Pediatric Dentistry. While completing his residency he also obtained a master of science in dentistry. He is a board certified pediatric dentist. Dr. Bennet is specialized in the care of infants, children, teens and children with special needs. Dr. Bennet is an active member of many dental organizations and attends many continuing education courses. In his free time Dr. Bennet enjoys spending time with his family and friends. He loves to travel and is scuba certified. Dr. Bennet lives in Plainview, NY with his wife Debra and their three busy boys. 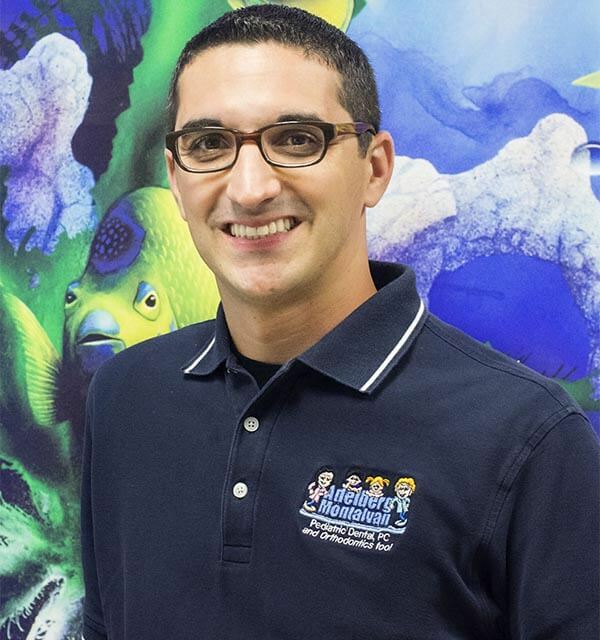 Dr. Bennet strives to treat every child in an individualized way with compassion and a sense of humor. He practices mainly at the Massapequa Park and Nesconset offices.